In large bowl, mix all ingredients except dressing. 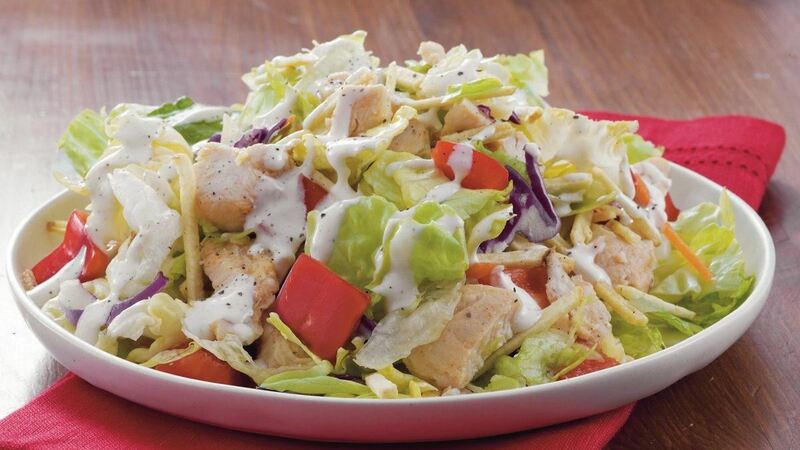 Divide salad evenly among 4 plates; drizzle each with 3 tablespoons dressing. Serve immediately.